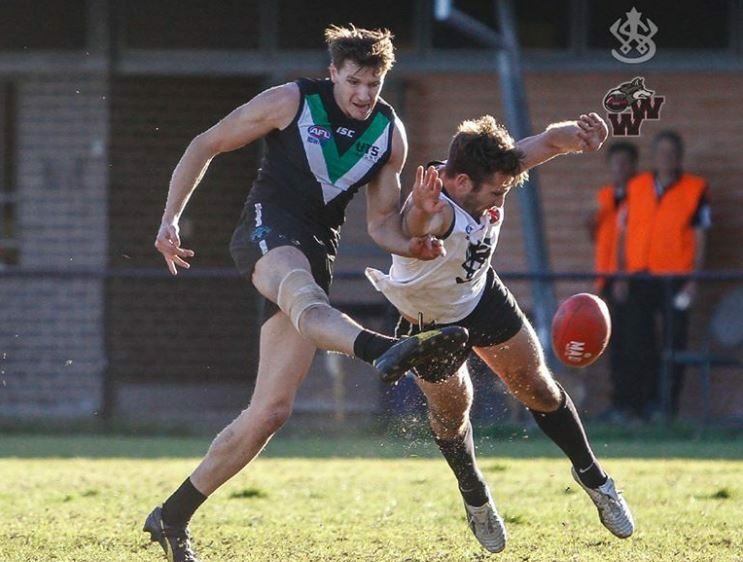 Image courtesy of Western Suburbs Magpies Media. UTS Bats vs. Western Suburbs Magpies – Picken Oval on Saturday, June 30, 2018. When you’re having a season when you’re struggling, any chance to get a morale-boosting win is an opportunity not to be missed. For the UTS Bats and Western Suburbs, the desperation and determination to land the four points was evident for all to see. Rain late in the week saw Waverley Oval closed and the match moved to Picken Oval. 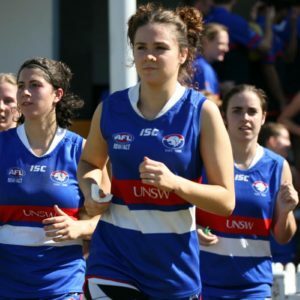 The UTS Bats had won the previous clash between the two clubs at that ground back in round two, but this year has been a struggle for both teams, and both clubs went into Saturday’s game having only won one game since that meeting. There was no shortage of passion on display, as the players from both sides sensed a chance to snap their losing streaks. But it was Western Suburbs who made the front-running with a burst in the first quarter that would prove decisive. From the first bounce Western Suburbs were in control, getting the ball out of the centre and pumping it into the forward line with regularity. Playing the best quarter of footy they have been able to string together all season, five unanswered goals would go their way. With each goal came a roar from the long-suffering Western Suburbs faithful and confidence was growing among the Wests players. They came into the quarter time huddle with a spring in their step and holding a 32-point lead. While Western Suburbs were confident, the Bats were shell-shocked. Blown away in the first term, it would be a long way back into the contest for the UTS Bats side. But in the second term, they began their journey on the long road to recovery. Western Suburbs, allowed to run free in the opening term, were contained. Preventing the deficit from blowing out any further, UTS tightened their defence and held the Magpies goal-less in the second term. 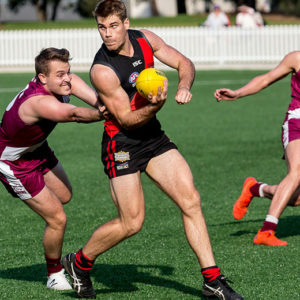 It took longer to build a coherent attacking structure, but the UTS Bats would manage two goals in the second term to cut the deficit to 20 points at the long break. The UTS Bats weren’t finished yet, and there were some nervous moments for Western Suburbs during the third term. It wasn’t a high-scoring quarter of footy, just two goals to one in favour of the UTS Bats. But the UTS side kept coming, kept attacking. As the inside 50 count continued to grow, the UTS Bats created plenty of scoring chances but missed most of them. Had they been able to kick straighter, they could have taken the lead. As it was, the Western Suburbs defence was able to absorb enough pressure to hang on for an 11-point lead at the last change. Having held a healthy quarter time lead and seeing it being slowly eroded, Western Suburbs rallied at the break and pleaded with each other for one last effort. The UTS Bats had the momentum and were coming home hard. 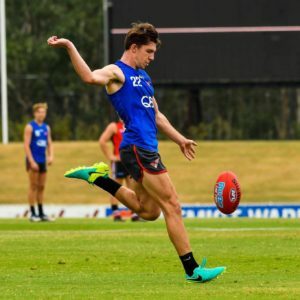 But the break gave the Western Suburbs the chance to steady and to reshuffle the forward line to create a structure that would give them some much-needed breathing space. It would work a treat. Although the UTS Bats kept coming, Western Suburbs were able to come up with the answering goals that would keep the game away from any chance of the UTS stealing it. The final term would yield four goals to three, extending the final margin to 18 points. 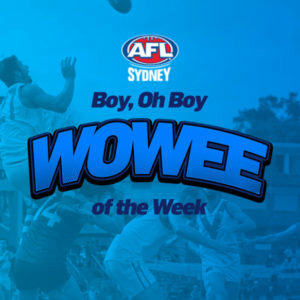 Josh Robinson, Daniel O’Connor and Elliott Harper were magnificent for Western Suburbs. There was no shortage of volume of passion from the Wests’ room after the game as a rousing rendition of the song was performed. Western Suburbs are still at the bottom of the ladder, but only one game behind the UTS Bats. It they can summon some momentum from this result, they may yet avoid the wooden spoon. Justin Crameri, Nathan Daniel and Brad Harricks battled tirelessly all day for the UTS Bats. But, as has been the case too often this season, the Bats were unable to get the job done over four quarters. They battled hard in the second and third quarters, only to still be behind on the scoreboard after a poor first term, and in the end the pressure of playing catch-up football took its toll.